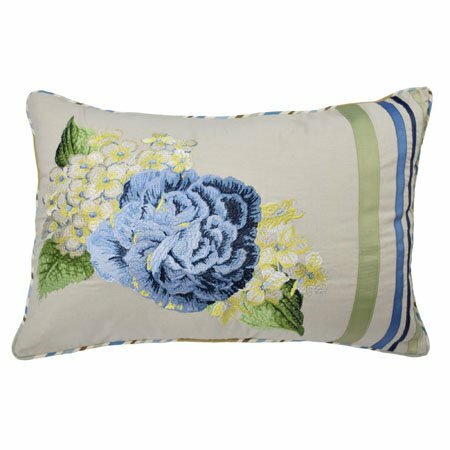 Floral Flourish 14x20 Embroidered Decorative Pillow features intricate, embroidered flowers in blue, yellow, and light green on an ivory ground. Grossgrain ribbon trim in green and blue accents one end. Striped piping adds a finishing touch at the edges. Hidden zipper closure. 14" x 20". Spot clean only. 100% prewashed cotton.